For many people, riding horses, whether for competition or just for pleasure is a very rewarding hobby. If you are considering learning to ride a horse, there are a few things that you should know first. Before you set out on the trail with a horse, it is a good idea to first take a few lessons. 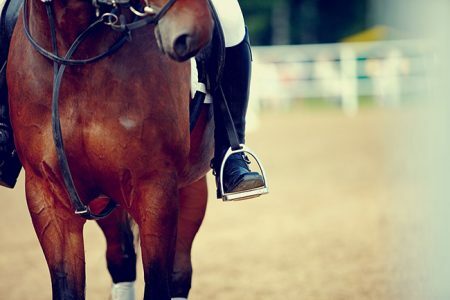 If you don’t know much about riding or horses in general, taking lessons is the best way to prevent serious injuries. When you take horseback riding lessons, you will learn a few key tips. Jumping: This is where you will learn to jump a horse over hurdles of differing sizes set at different widths apart. Dressage: This is a highly skilled form of horse riding where you will learn to control the horse to precise style and movement. Cross Country: This is usually a level of competing where the horse will compete for the best time across a course of varying terrain with natural jumps and water features. Competing: You can compete at racing, dressage, jumping and cross country. There are many different styles of horse riding and that includes whether you want to ride Western style versus English style. Each style has a different purpose and are accompanied with specific tack. British style is more focused on proper form and etiquette for both the horse and the rider. This style is mostly for shows and competitions that are held typically in arena settings where skills such as dressage and jumping are displayed. Western style riding contrasts with British style primarily due to it’s focus on using horses for various kinds of ranch work, which reflects in the style of saddle that’s used. Western saddles have deeper seats to help secure the rider with a horn in front that sits above a horse’s whither. The horn serves as an anchor for a lariat while roping livestock.